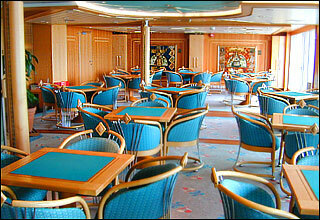 Deck 12 features Izumi Restaurant. 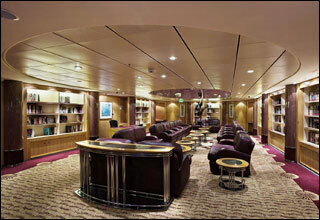 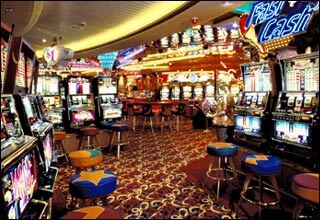 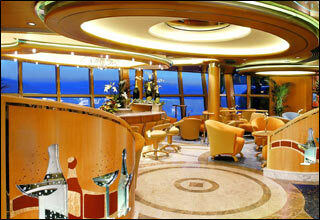 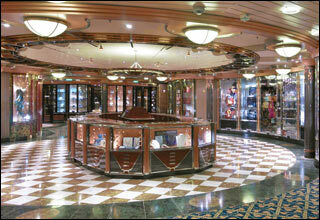 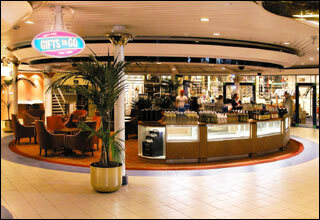 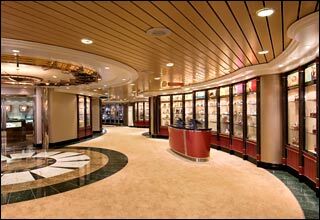 Deck 11 features the Viking Crown Lounge and Concierge Club. 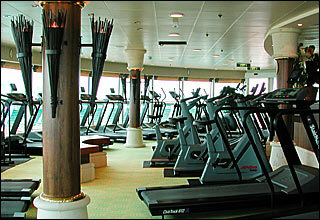 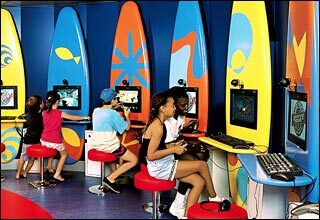 Deck 10 features the second level of the Vitality at Sea Spa & Fitness Center, the Rock-Climbing Wall, Teen Center, Video Arcade, Adventure Ocean, Nursery, jogging track, sports court, and the Observatory. 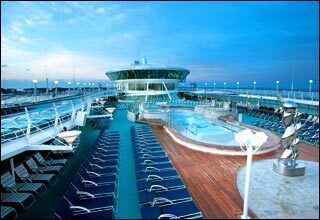 Deck 9 features the Windjammer Cafe, Vitality at Sea Spa & Fitness Center, Park Cafe, the Solarium, Solarium Pool and whirlpools, the Main Pool and whirlpools, and outdoor movie screen. 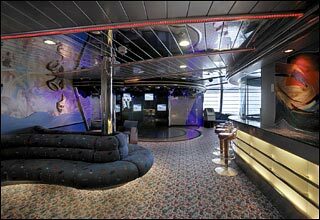 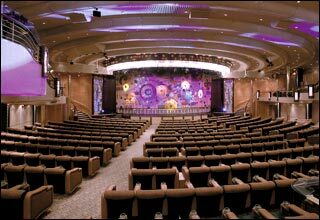 Deck 8 features staterooms in categories RS, OS, FS, GS, FJ, JS, AW, F, and K.
Deck 7 features staterooms in categories JS, D1, D2, AX, F, K, and L.
Deck 6 features the Palladium Theatre, South Pacific Lounge, Giovanni's Table, Chops Grille, Schooner Bar, Cafe Latte-tudes, Photo Gallery & Shop, Centrum Shops, the Diamond Club, and Conference Center. 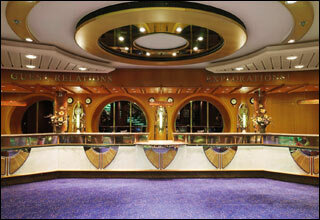 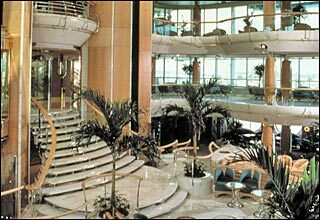 Deck 5 features the Palladium Theatre, Casino Royale, the Great Gatsby Dining Room, the Guest Services desk, and the Shore Excursions Desk. 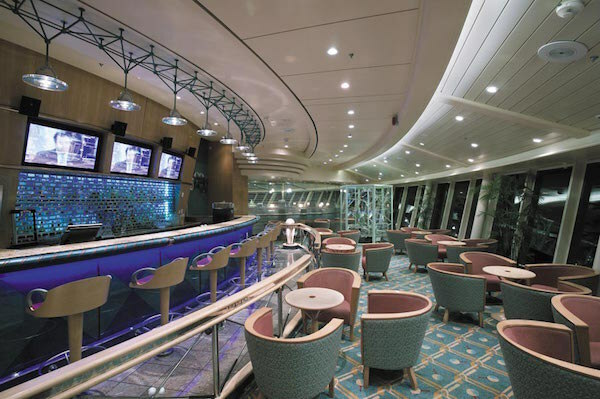 Deck 4 features staterooms in categories G, F, K, L, M, and N, as well as the Great Gatsby Dining Room, R Bar, Chef's Table, RC Online, Next Cruise desk, and Conference Centers. 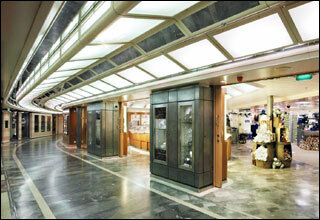 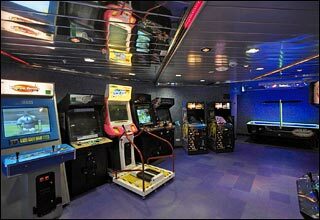 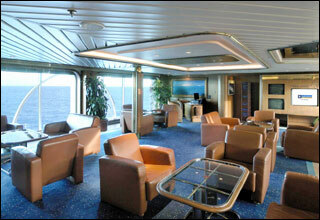 Deck 3 features staterooms in categories F, H, AY, M, N, Q, and AZ. 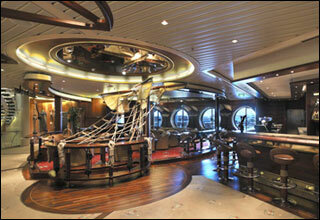 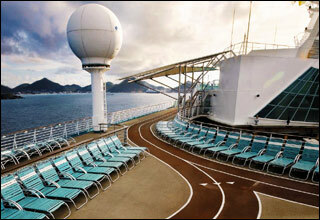 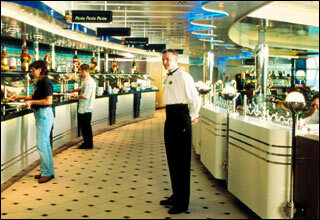 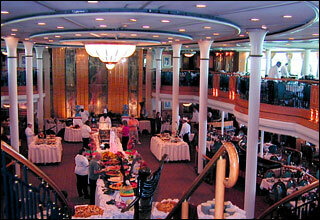 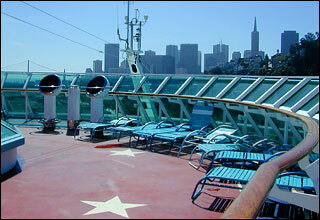 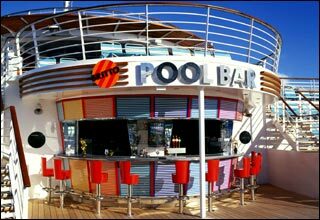 Deck 2 features staterooms in categories F, I, AY, M, N, Q, and AZ.